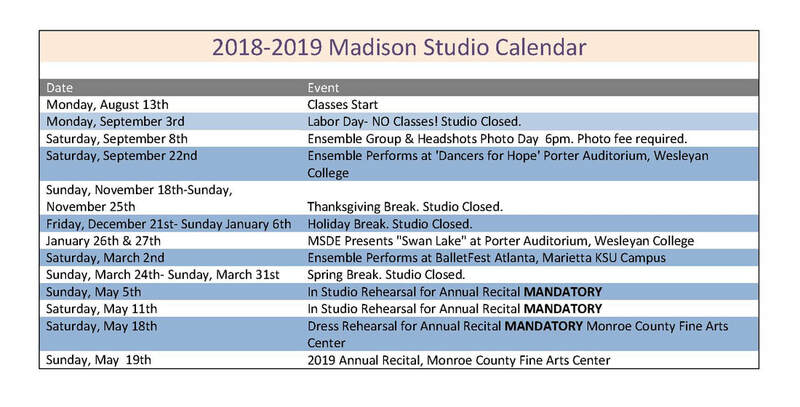 As we have students from many different schools, communities, and counties, and adults in numerous education and work fields, please note that we follow our own calendar and weather policies. If in doubt, call 478-361-9945, check our Facebook page (like us!) with our logo ‘The Madison Studio’ - Professional Services - School. Ballroom for Big Kids! - Adults & teens - group classes or by private class arrangements available. With team teachers Laura Thomason and Daniel Boudreault. Don’t just watch - get up and start movin’! Swing, Waltz, Fox Trot, Tango, Cha-cha, Rhumba. See our ‘News & Notices’ page on our website for specific dates/times, and to contact the ballroom instructors directly by e-mail (laura@dldancers.com). Join the fun - gain confidence - no partner needed! 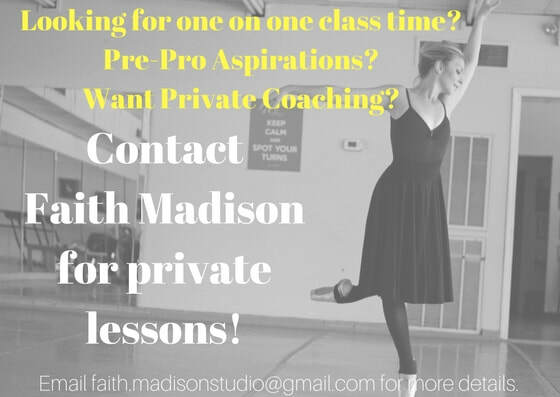 Interested in private lessons? Want a little more one on one time to hone in on your technique and specific needs? Email faith.madisonstudio@gmail.com for more details. We also offer rental of our studio spaces for events, parties, and meetings! - call 478-361-9945 or e-mail : jmad5699@gmail.com for more information!